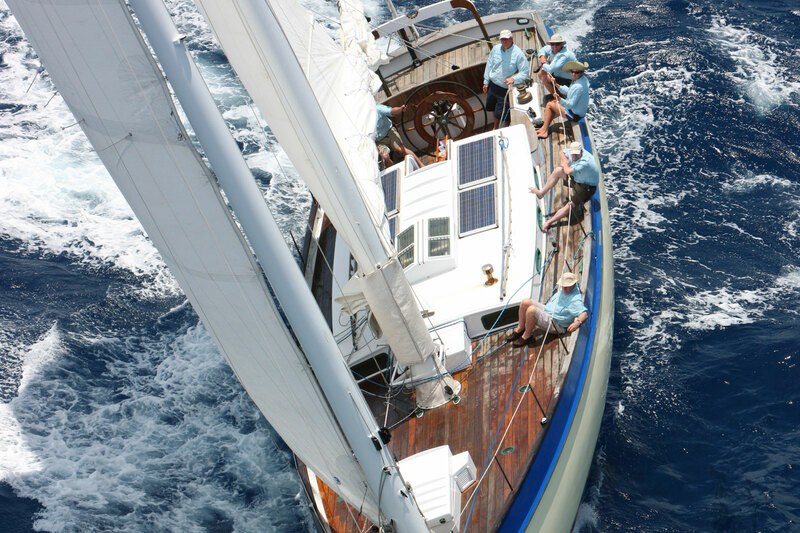 Designed as a long distance short-handed cruising yacht for an experienced yachtsman, the 17.4m (58ft) schooner Farfarer was built by Covey Island Boatworks, Nova Scotia in wood epoxy to replace the owners’ previous schooner Maggie B. 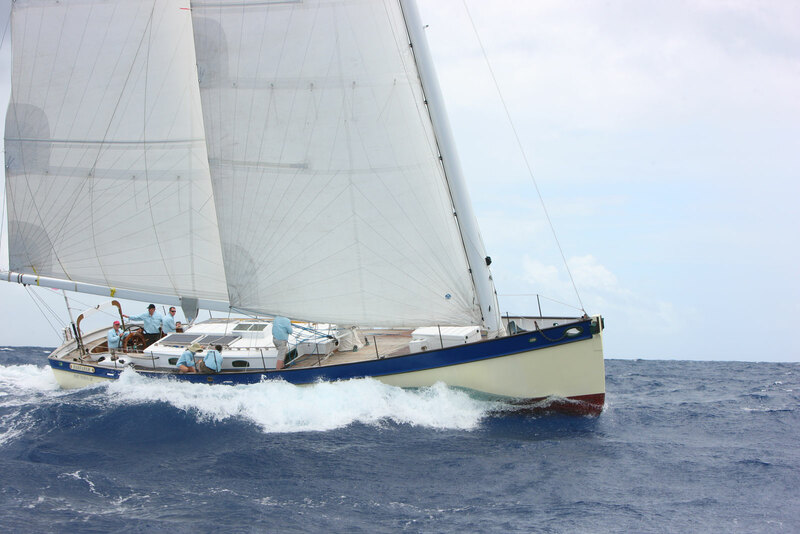 For ease of use, performance and longevity Nigel Irens chose unstayed rotating masts that remove the need for standing rigging and the associated potential for sail chafe and offer a lower centre of gravity to increase righting moment. 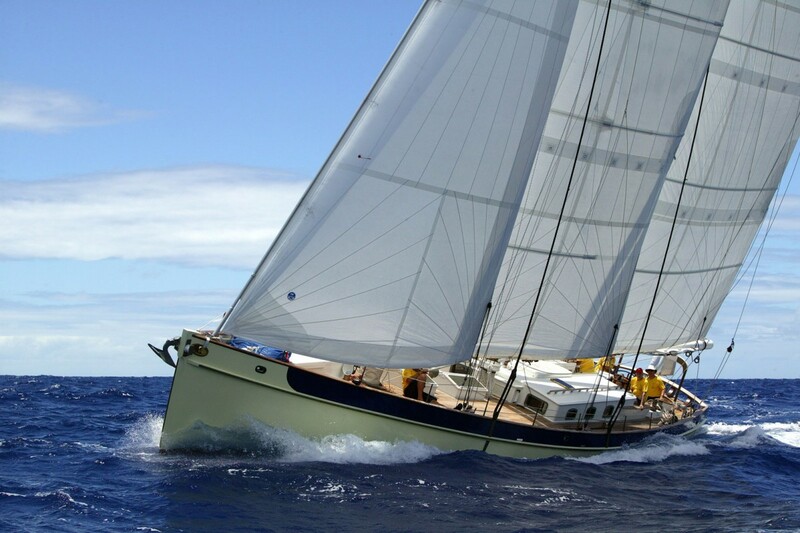 The high aspect sailplan includes ‘fathead’ sails that are particularly effective in the schooner configuration, helping to maximise the effective sail area between the masts. 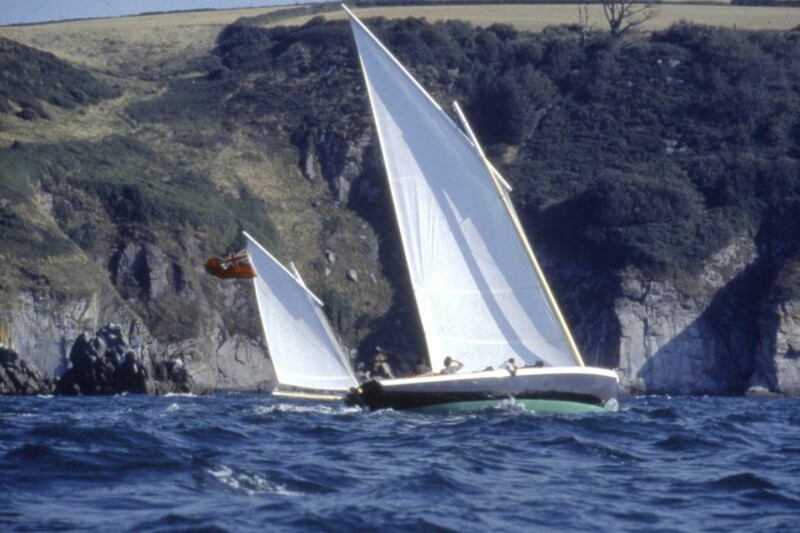 The traditional catboat styling above the water is complemented below the water with moderate 1.9m (6ft) draft and a centreboard easily allowing 220 mile sailing days.